The Exhaustex 2000 ushers in a new era of unsurpassed performance in spot cleaning technology. The powerful 2 speed vacuum motor, will instantly remove airborne contaminants from the work area, that are generated by the spot cleaning process. The secondary stainless steel chemical shield vacuums away all over-spray that it captures. 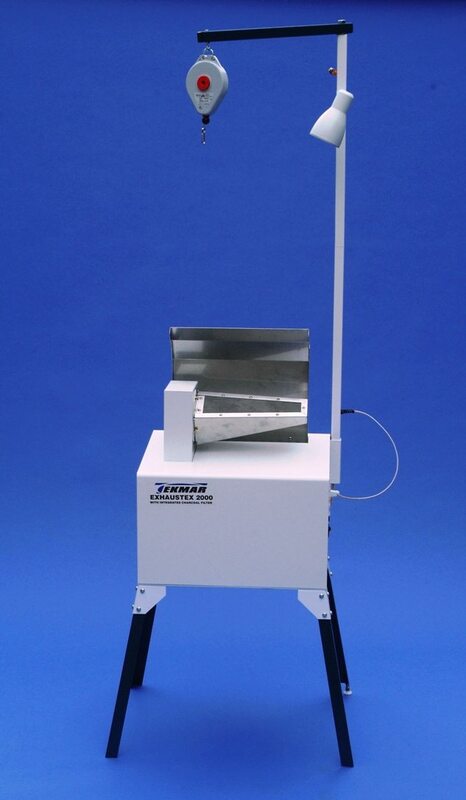 The rotatable stainless steel arm can be adjusted for optimal cleaning efficiency and safety. 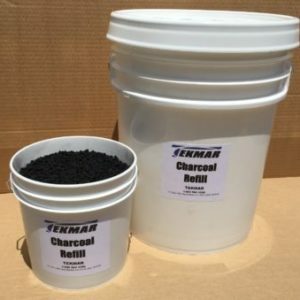 Included in the system is a refillable activated carbon (Charcoal) filtration unit. 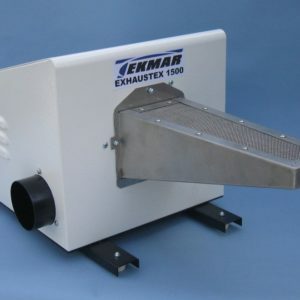 This easy to recharge filter unit, allows the Exhaustex 2000 to be safely used inside the production facility. For optimal performance and safety, the unit can also be conventionally vented to the outside. Other advanced features, include a built in Gun Stand that is plumbed for an air dryer and has an integrated inspection light. 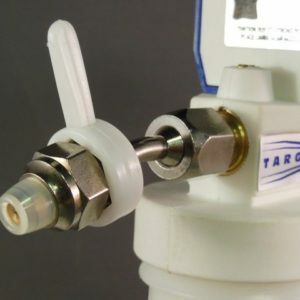 A convenience outlet is provided for a cleaning gun and the whole system is wired to international standards, with built in fused protection.